Welcome to Kilkenny. The boutique Kilkenny Inn offers exceptional value and comfort in a great location in the heart of the city. Perfect for a Spring Escape, Festival Fun in Kilkenny or to enjoy Roots Festival or Cat Laughs. restaurants, shops, bars and night life Kilkenny has to offer. Easter Breaks in KilkennyEgg-citing EscapesCheck in for an Easter Break in the Medieval City - Marvel at the delights of what our City has to offer. Family rooms and interconnecting rooms available. Spring Escapes in KilkennySpring into KilkennyJoin us in the heart of Kilkenny City this Springtime, explore the medieval mile on our doorstep, dine in Kernel Kilkenny onsite, and enjoy the best of Kilkenny during your stay. Our 30 recently refurbished guest bedrooms at Kilkenny Inn are bright, modern and spacious rooms that have been tastefully decorated and designed to meet all the requirements of our guests, business and leisure alike. To accommodate individual guest requirements we offer Double, Twin, Triple and Family Interconnecting Rooms. All our guests can also avail of complimentary secure guest parking, conveniently located to the rear of the hotel. 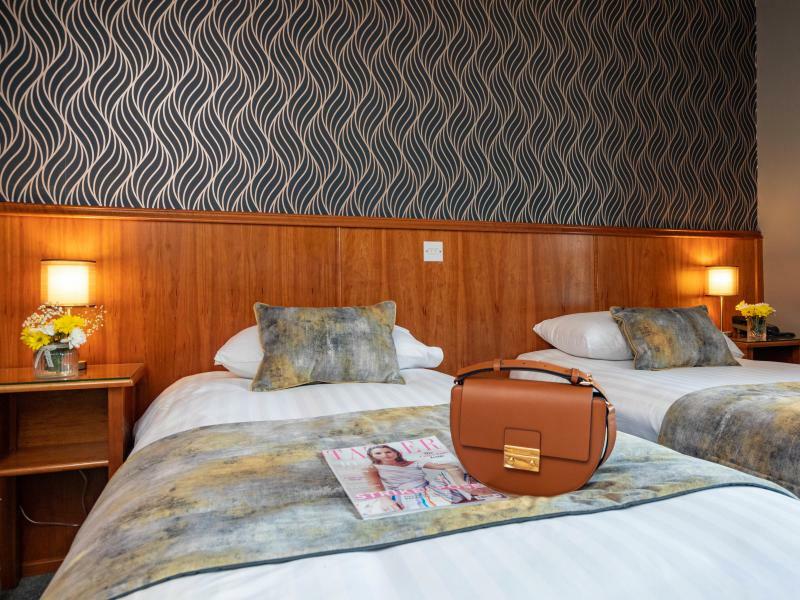 Stay at Kilkenny InnModern Spacious RoomsWe are in an ideal central location in the heart of Kilkenny City, perfect for sightseeing and shopping trips during your stay. Dine at Kernel Bar & KitchenSimple & Original Tasty DishesThe hill just above us is the kernel from which Kilkenny as we know it today grew. When you strip time right back, it’s the town’s true centre. Now that’s something that inspires us. Kilkenny – the creative heart of Ireland, where heritage, history, crafts and architecture combine to create a unique city. An art gallery, cafe, extensive pleasure grounds and well equipped outdoor children's play area make Kilkenny Castle one of the highlights of any visit.